Find what you were looking for and close your case. But it's not always that easy… there are times where you have to query multiple servers or run your checks daily looking for particular events happening on your infrastructure. Microsoft brings you Get-WinEvent as a standard to work with Windows Event Log since some time now. There are other methods but Microsoft really wants you to use this one as it supports all the bells and whistles provided by Microsoft. And for the most part it does it's just pretty good. You can query things just the way you want. But let's work on the example. Lets assume we want to check when the last few patches were installed on AD1 machine, and that you want to get it from Event Logs. 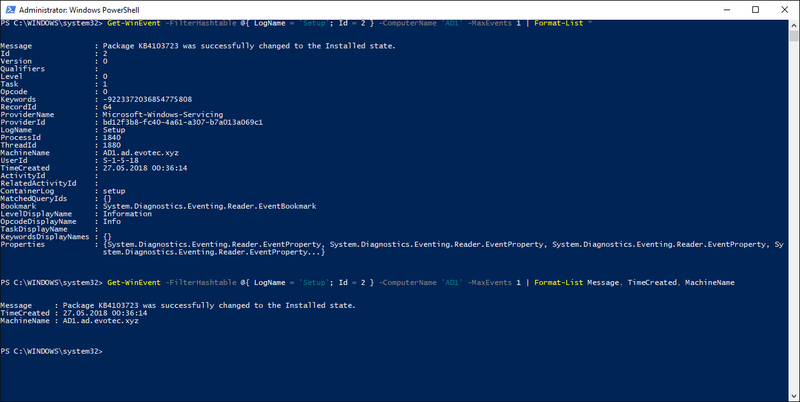 You had to write simple query for Setup Event Log and look for Event ID number 2. Finally using Format-List * gives us all information about the events. In example above we first checked all data for the Event, and then subsequently verified the information we need, and just queried for exact results we needed. While the results provide us a nice way to get what we needed…. there is one problem. The Message field contains a lot of additional information we don't need. What if we're interested in particular Windows Update and not all updates installed? We would now need to get the Message, parse it, split it in multiple chunks and output information. This means a lot of additional work that is subject to break. Of course you could always use Like and search for particular information just like below. But this is a simple Event. There are far complicated events that may not be easy to parse like that. What if there is a simpler way? 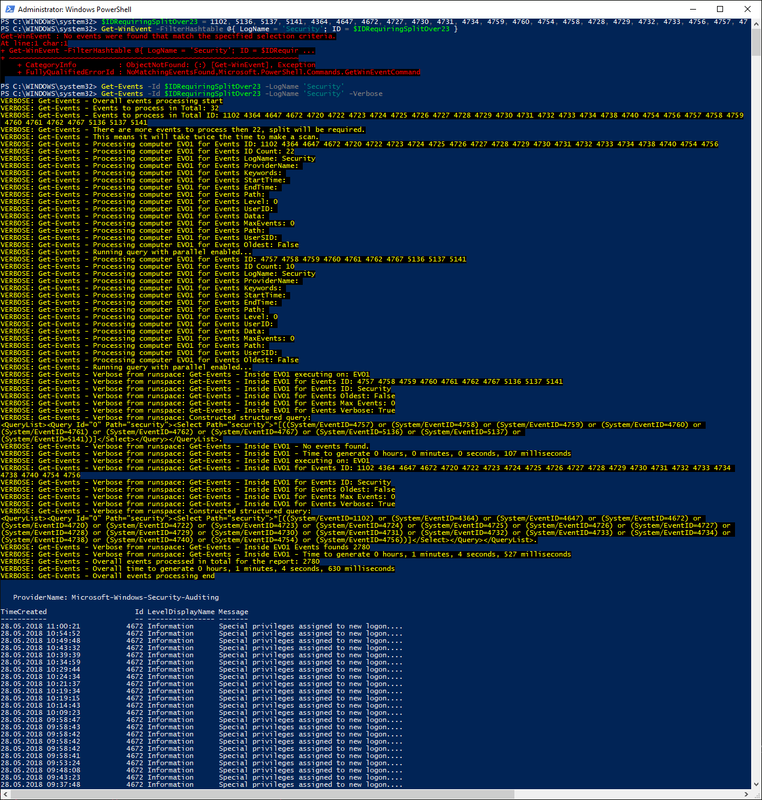 Lets take a look what PSEventViewer can do on the very same Event Log query as above. Noticed something different? How all the relevant information been provided to you on a silver platter? First feature is an important one. While Get-WinEvent can query results in fast and efficient way things get complicated when you want to query 2, 5, 10 servers. You may think it's really not worth the effort to introduce parallel processing into reading Event Logs but I assure you it makes all the difference. In my special module that queries all AD servers for certain Events it was able to bring down the time from 50 minutes to under 18 minutes. For my other Client which has few more AD servers and a bit different architecture with heavier load the script changed the time to query all AD Servers from 15 hours to just around 3 hours. That's a huge difference. Of course it wasn't the only change I did but it was crucial one. But wait, you could always query Get-WinEvent for multiple events! No events were found that match the specified selection criteria. That's far from truth. You will get same message whether you query 2 MB Security Log and same when you query 50GB Security Log. 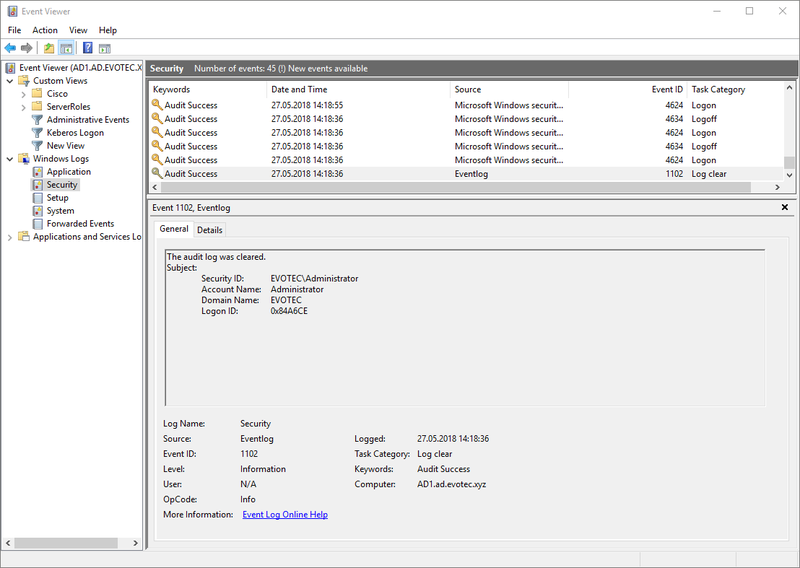 You will even get similar response in Event Viewer so it does seem like a limitation of Windows. With Get-Events you get slightly different story. For the purpose of demonstration what happens I've used the Verbose parameter. As you can see the story is quite different. Verbose message shows us there were 32 Event ID's to query and that the function split the events in 2 chunks and actually run them in parallel. One finished quickly because the event log didn't contain much events to process in regards to those ID's. The other one took over 1 minute and returned 2780 events. Keep in mind those 2780 events are processed and provided with those hidden fields. You can't compare it with clean Get-WinEvent which would return a bit quicker as it doesn't do the post processing that Get-Events does. You get few more kinks thou. While you can use the script in a standard way by downloading it from GitHub, putting it in right places and getting it to run…there is much simpler way. 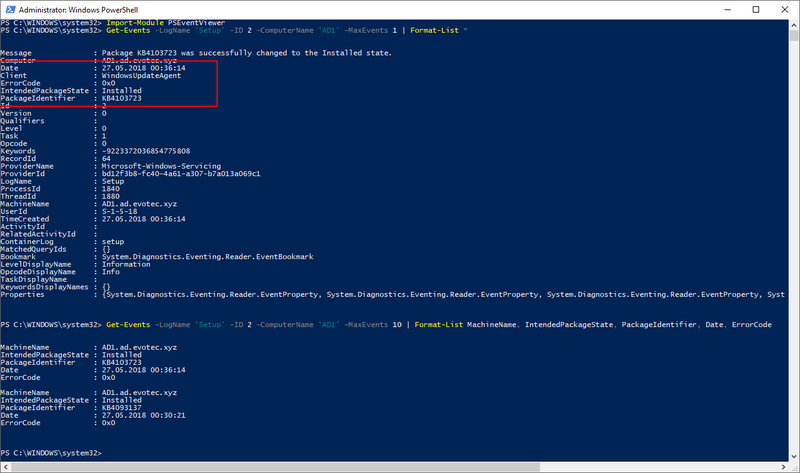 Since the script was published to PowerShell Gallery you can simply install the module and run it from anywhere. Just use Install-Module PSEventViewer. So what are you waiting for ? Go grab it!